If you need to hire someone, you should write a job description with an application to ensure that the interested candidates with qualifications you are looking for, apply for the job. It also makes it clear for the candidates what they will have to do if they are hired. 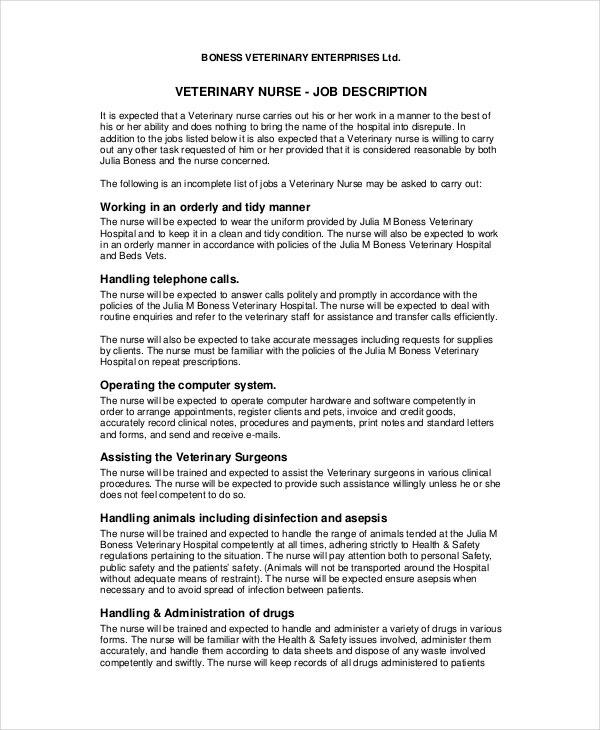 Job description samples like the below-given veterinarian job description examples can help you out if you are looking to hire a veterinarian. If you are looking to hire someone for a position of a veterinarian assistant in your hospital then this veterinarian job description example can help you in writing a job description for it. 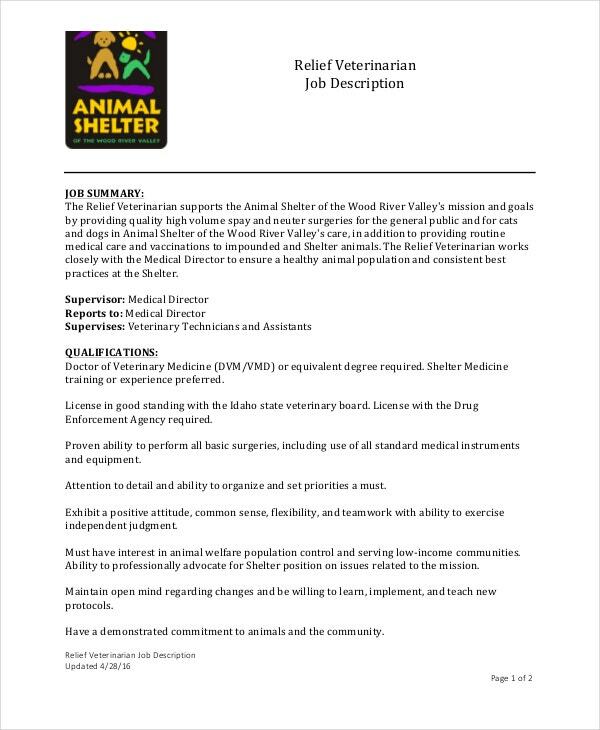 This is a veterinarian job description example that can assist you in writing a detailed job description if you are looking to hire a veterinarian to assist you in your zoo. You can also see Doctor Resume Templates. 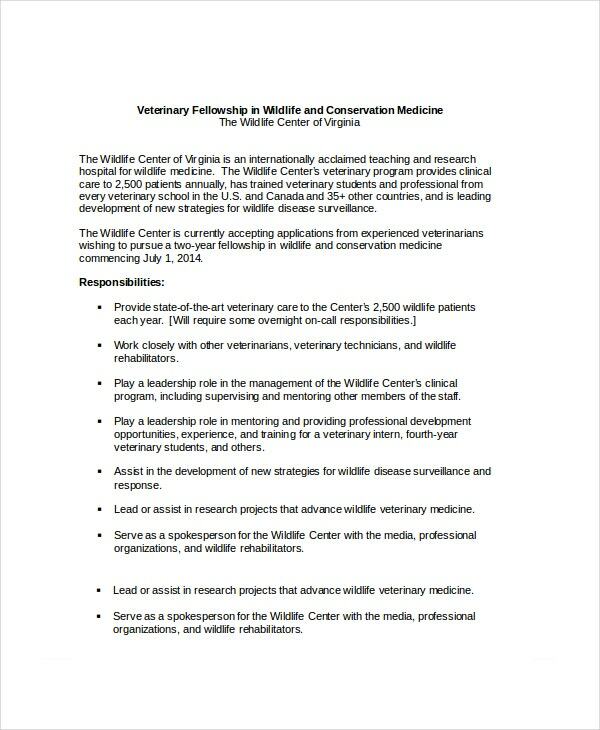 If you are offering a fellowship for veterinarians in your wildlife center and need to write a job description for it then you can benefit by making use of this veterinarian job description example. 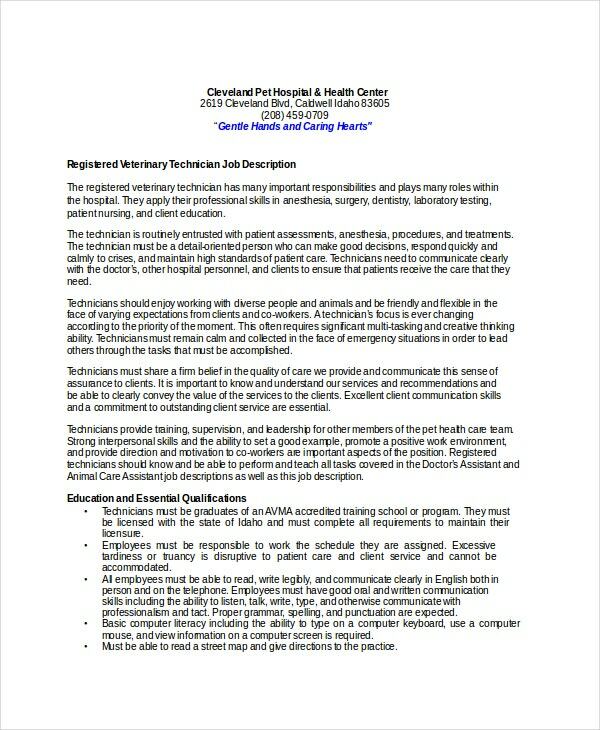 You may also see Pharmacy Technician Job Description Templates. 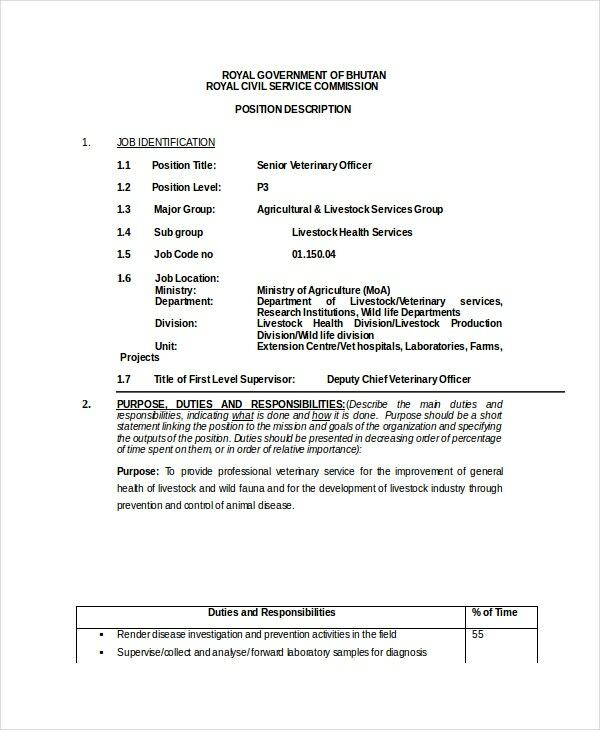 1. Who can make use of the Veterinarian Job Description Examples? Veterinarian job description examples are of various kinds and you can use them depending on the type of place and the position for which you wish to hire a veterinarian for. If you need to hire a veterinarian assistant in a hospital or a clinic then you can use the veterinarian assistant job description. If you need to hire a veterinarian in a zoo then you can use the zoo veterinarian job description. 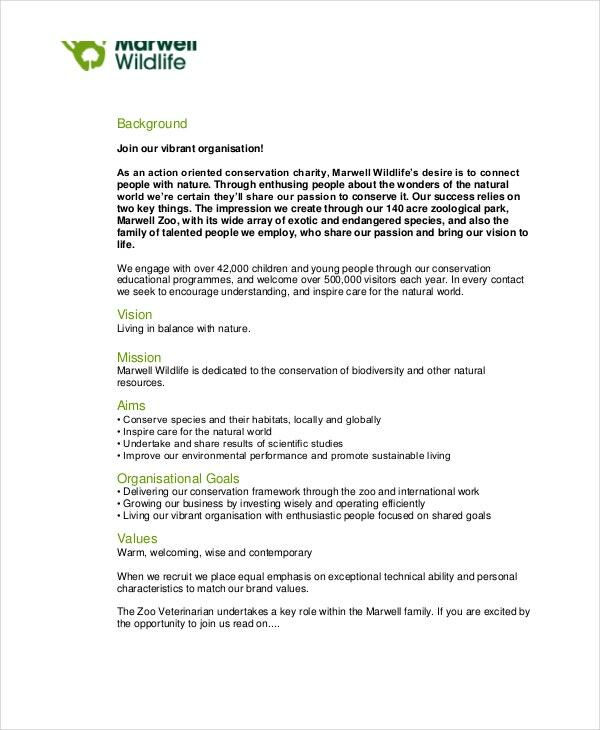 A wildlife veterinarian job description is suitable for hiring a veterinarian in a wildlife center. 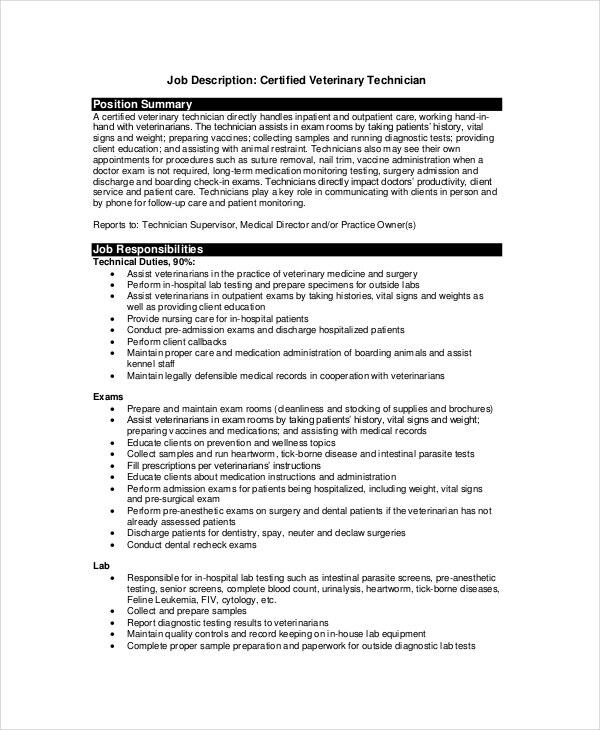 If you need a veterinarian technician then you can use the job description meant specifically for it. You can also see Pediatrician Job Description Templates. 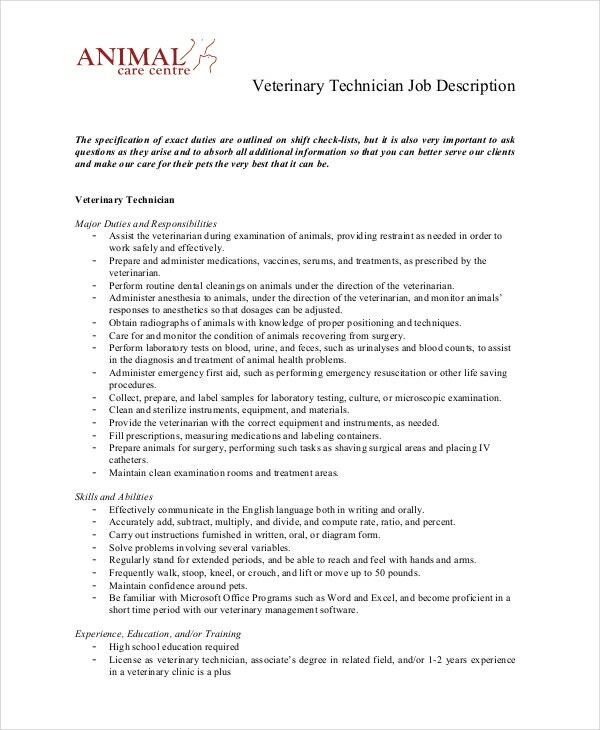 This is a veterinarian job description example that can be of great help in writing a job description for the purpose of hiring a veterinarian technician in your place of work. If you are looking to hire veterinarians to work at different levels in your workplace then you can benefit by making use of this veterinarian job description example for doing so. 2. 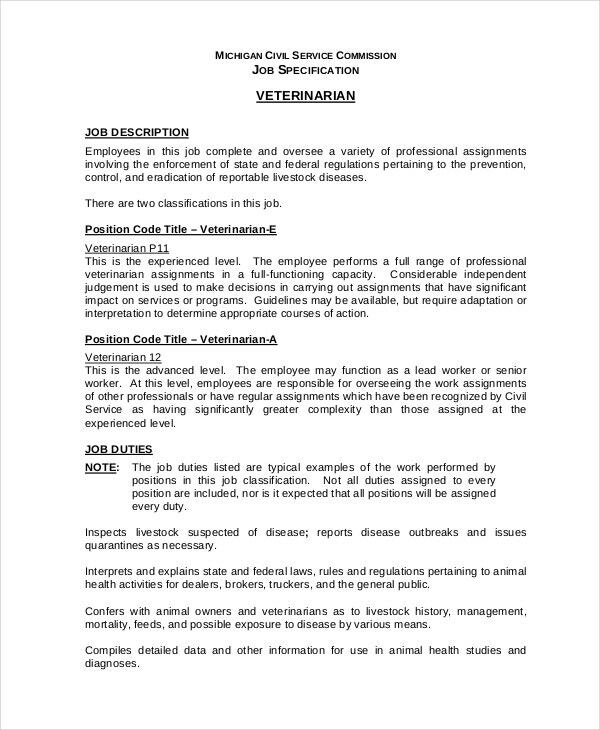 How to use the Veterinarian Job Description Examples? Veterinarian job description examples help you in understanding how to write a veterinarian job description. 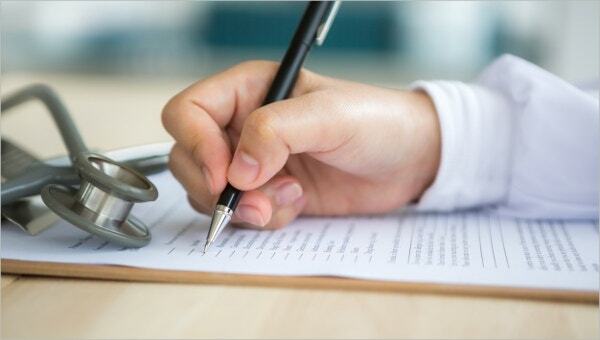 They tell you the various details you should cover while writing a veterinarian job description. 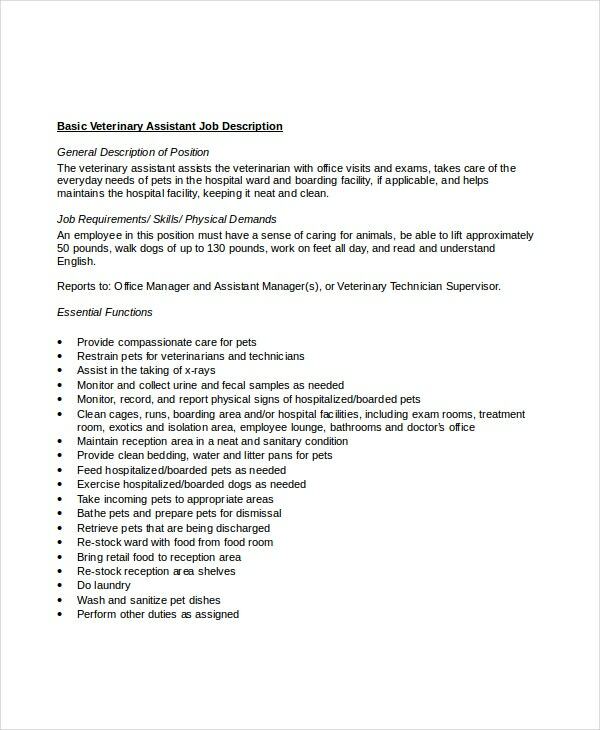 They give you an idea of the format to follow for a veterinarian job description. 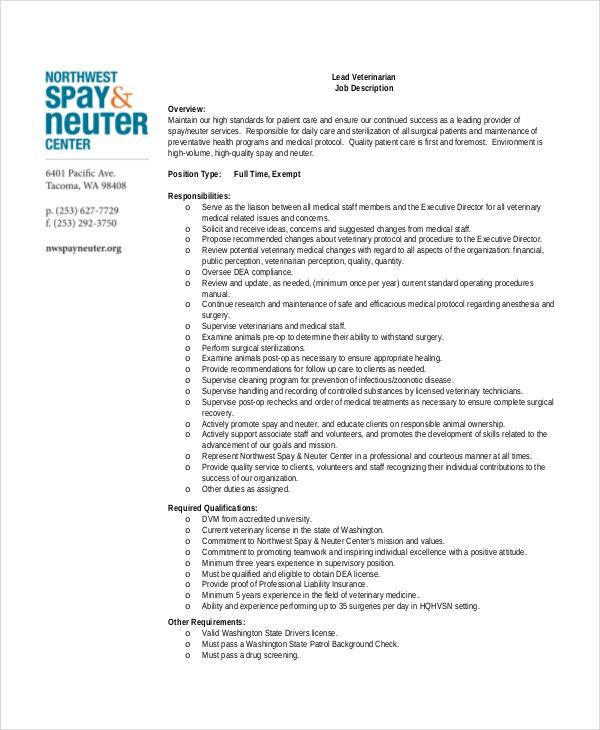 These examples are to be used as references when you write a job description to hire a veterinarian for your organization. You can copy some part of the job description if it matches the requirements you have for the candidates you are looking to hire. Else, you should write a job description yourself in a similar way as in the examples. You can also see Pharmacist Resume Templates. If you are a veterinary doctor and looking to make a resume then you can make use of the veterinary doctor resume templates. The above-given job description examples can assist you greatly in hiring a veterinarian in your organization. Choose the job description example which best reflects your organization.